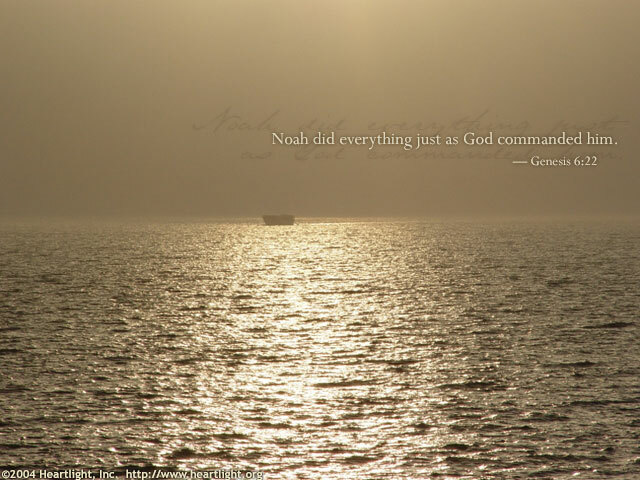 Noah was described as a righteous man, blameless in his generation, who walked with God and did all that the Lord commanded him (Gen. 6:9, 22). Can you think of a higher honor? I'm not sure what they will write on my headstone when I pass from this life to be with Jesus, but I surely would love to be worthy of what was said of Noah in this verse! How about you? Holy God, I fully acknowledge that I am saved by your grace and not because of any great or righteous thing that I have done. At the same time, Father, I surely do want to honor you with my life and show others the difference your loving kindness makes in the life of your children. Bless me please, dear Father, to be more worthy of this description of Noah. In Jesus' name I pray. Amen.